LEGOLAND Discovery Centre | Kids in T.O. With two increasingly LEGO-obsessed children, a trip to LEGOLAND sat on the top of the must-visit list. I had assumed we’d have to travel to sunnier climates to find one. 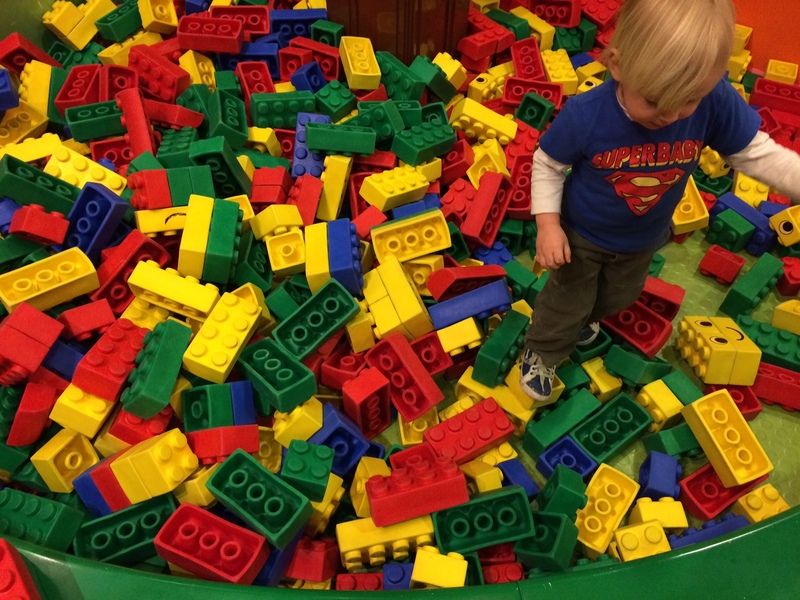 Surprise – LEGOLAND Discovery Centre in the Vaughan Mills mall is the GTA’s bright yellow LEGO heaven. Opened in March 2013, the 34,000-square-foot play space may seem small-scale compared to its theme park cousins, but with 14 “attractions” geared to 3 to 10-year-olds, there are lots of building and bouncing back and forth from station to station to keep minds and bodies busy. Must say, the online map had me a bit overwhelmed as I planned for our visit, especially since there are height restrictions for some of the rides and activities. In reality it’s an easy-to-navigate space with lots for kids above and below that 90 cm mark. Toddler’s favourite: There are four work stations at the Earthquake Tables where little hands can build DUPLO towers then have them shake and tumble to the ground. It’s next to the DUPLO Village with large LEGO bins and a slide. He also loved playing in the LEGO Friends kitchen. Grandma’s favourite: After the LEGO Factory Tour, you’re led into Kingdom Quest Laser Ride where you’re sent in a 4-person “car” through a dark maze to rescue the princess. Yes, you zap with gun-shaped lasers and there are lots of animated spiders, skeletons and LEGO dudes throwing rocks at you. It’s fun and short (grandma racked up the most points) but definitely opt to skip based on your children. A great follow-up to the adrenaline-inducing ride was MINILAND, a LEGO-sized mock up of Toronto and Niagara Falls. Coming this Spring – Star Wars. Mom’s favourite: The Master Builder Academy was a nice break from the action. In this free class, a LEGO expert leads you through a project. It’s not for keeps but you have tons of options for purchase in the store later. I would have loved to have them burn some extra energy in the jungle gym style LEGO Fire Academy but it was a bit intimidating for our Kids in TOw when it got busy.